Tiger Eye Men's Shamballa Bracelet handmade of Natural Tiger Eye gemstones. 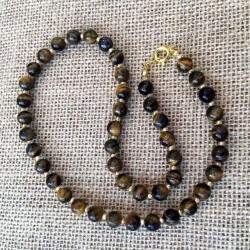 There are 21 beautiful Tiger Eye gemstone beads 8mm in diameter, braided with a black cord. 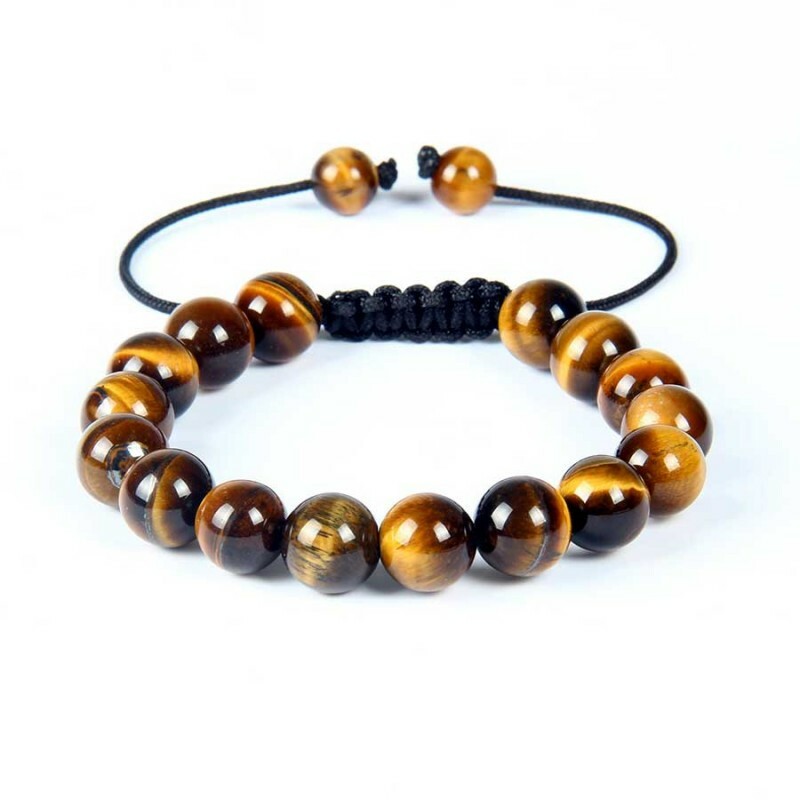 As Tiger Eye is a natural not dyed material each bracelet has it's own totally unique colouring and markings.